:D :D LOL My time has come to leave my present company!! ;) Too many sites blocked!! BWHAHAHAHA…yeah man….we are with u!! LOL, good line of reasoning! ha ha, that’s funny ! Ha ha ha !Good one! You are giving out a lot of Ideas! 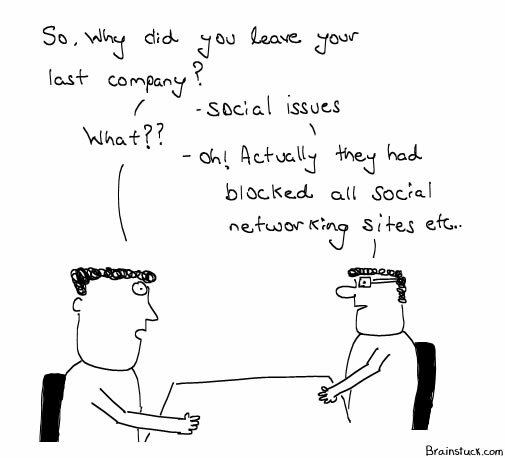 Conversely, companies may block social networking, so employees resign automatically instead of being laid off! I should keep this in mind. One shall go insane without them. As they say, man is a social animal.